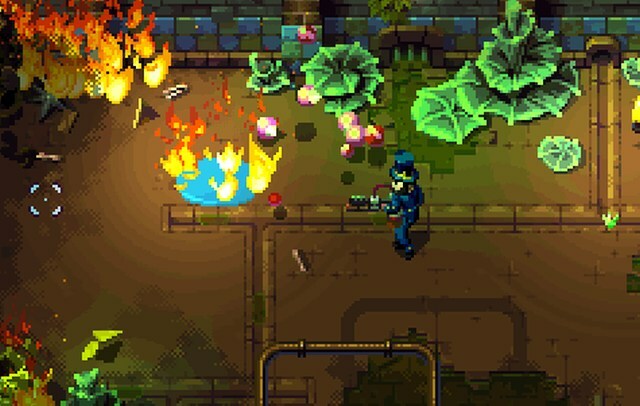 Indie Retro News: Tower 57 - Retro inspired shooter gets slick gifs and an alpha update! Tower 57 - Retro inspired shooter gets slick gifs and an alpha update! It is just a shame that we never got to see the Alpha even though we featured this game right from the beginning and all the way through the campaign, but so far from other peoples feedback such as " I Had a blast playing the alpha demo. Lots of creativity in this game already. Can't wait for more and I really hope everyone else enjoys it as much as I did! ", it's looking very positive even at an early stage. As such we have high hopes this could be everything that Amiga and retro gamers have wanted since those grand days of Chaos Engine.